Wow, its always interesting to see stuff I did years ago. Right now its 2013 and looking back on 2004 brings forth many good memories. 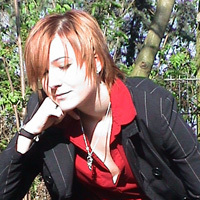 Like cosplaying for the first time in my life. 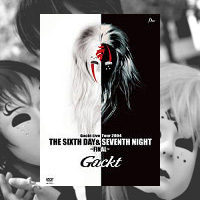 The costume I wear on the pictures is inspired by the stage outfit Gackt wore during his "Sixth Day & Seventh Night" Tour I happend to see live twice in Japan. While attending the concert I saw Japanese Cosplayers for the first time in my life and I was like: "Wow, thats cool! I want to do this too!" and I was told that its called "Cosplay" later on. I have sewn a bit in the past, like cushions and such basics you get to learn in school. Sewing a whole outfit was much different, but I was determined to do it. I never got the perfect fabric, but I was satisfied with what I got. Making the mask was the best part on this costume! Its so creative! 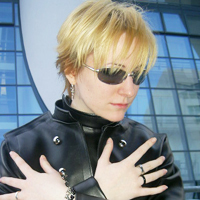 While doing J-Music Cosplay I always used my real hair, so yes, it was really short for a while. tin tức liên lạc mà chúng tôi đã liệt kê bên dưới. mọi băn khoăn của người tiêu thụ và làm việc trên tôn chỉ "Mọi quan điểm góp một phần đều là nấc tháng giúp chúng tôi thành công". 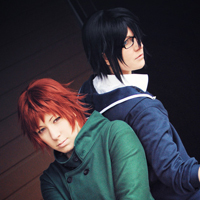 K project - Misaki & Saruhiko (Homra) Once upon a time Misaki and Saruhiko fought back to back against their oponents. Like a perfect team!